Fidelity Labs, the Research and Development think-tank inside Fidelity Investments has this week unveiled a new virtual reality application called StockCity, the team has created using the awesome Oculus Rift virtual reality headset and VR environment and allows you to see your stocks in a virtual environment. 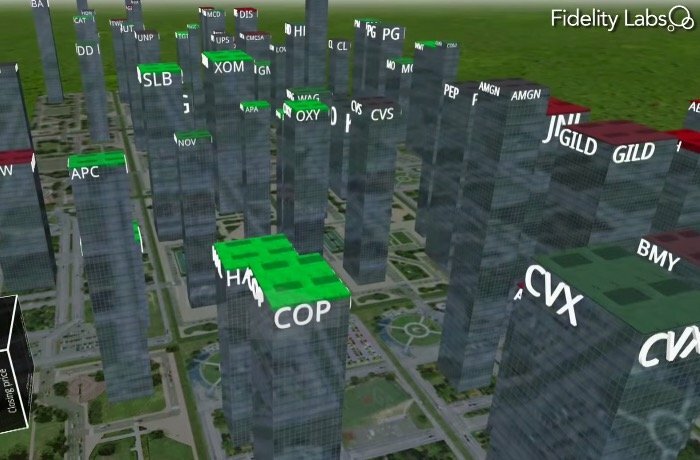 The new StockCity Oculus Rift application allows you to fly around a virtual skyscraper city, where the height and colour of the skyscrapers reflect the performance of your stocks. Watch the video after the jump to see it in action and learn more about this unique virtual reality application. The stocks application has been developed for investors to access the stock performance either using the Oculus Rift hardware or simply view it using a web browser. Wether the VR application will be hit with investors has yet to be seen, but its definitely a fancy way of seeing a graph of your stock performance. For more information on the new StockCity Oculus Rift application jump over to the Fidelity Labs website for details via the link below.